Companion to the major new BBC documentary series CIVILISATIONS, presented by Mary Beard, David Olusoga and Simon Schama The idea of ‘civilisation’ has always been debated, even fought over. At the heart of those debates lies the big question of how people – from prehistory to the present day – have depicted themselves and others, both human and divine. 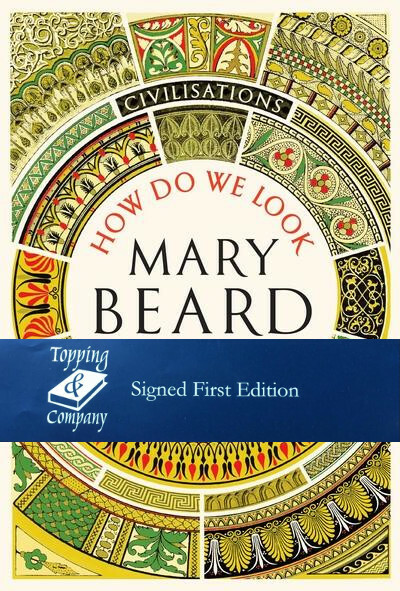 Distinguished historian Mary Beard explores how art has shaped, and been shaped by, the people who created it. How have we looked at these images? Why have they sometimes been so contentious? In Part One, she examines how the human figure was portrayed in some of the earliest art in the world – from the gigantic stone heads carved by the Olmec of Central America to the statues and pottery of the ancient Greeks to the terracotta army of the first emperor of China. With Beautiful illustrations printed on gloss paper this is the perfect companion giving a more intimate and in-depth understanding of what civilization is.